Can you all believe that Thanksgiving is next week? Where the heck is the year flying away too? I swear, it really does feel as if Summer just ended, but I am already seeing lots of friends across the US post pictures of snow, and lots of it. I suppose I will be spending a lot more time indoors cooking, and that part I am weirdly ok with. As you can tell, I love to cook and take pretty pictures of my creations. This recipe I am sharing today was inspired from the KraftHeinz Make Everyday Delicious holiday recipe hub featured on Walmart.com. It was a super hard choice choosing one recipe to make (I am sure I will be back to get more inspiration) but I decided to make the Cheesy Tater Tot Casserole and add my own twist to it. To make it more of a dinner meal I added ground beef. But wait, I bet you are wondering why I would ever mix stuffing and ground beef together in one casserole. Well the answer is simple–because it is amazing you guys! 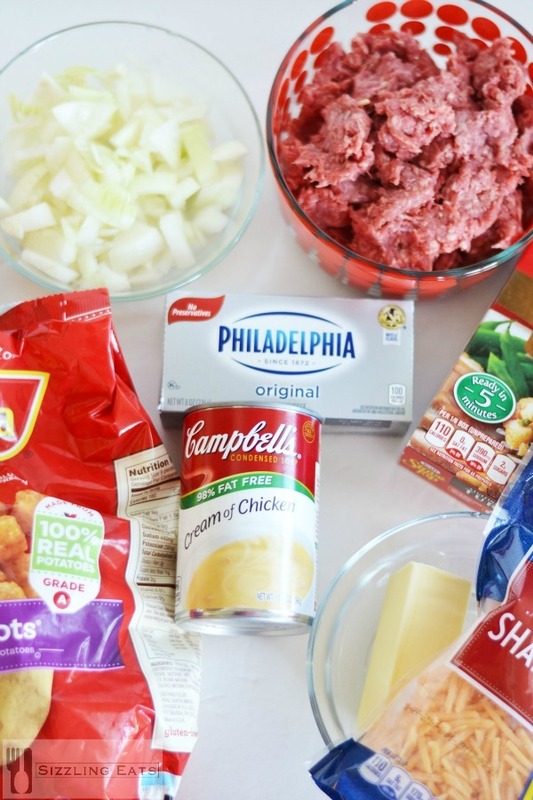 Seriously, have you ever had the traditional version of this casserole made with ground beef? Well the cream of chicken soup, and stuffing blow this out of the park! 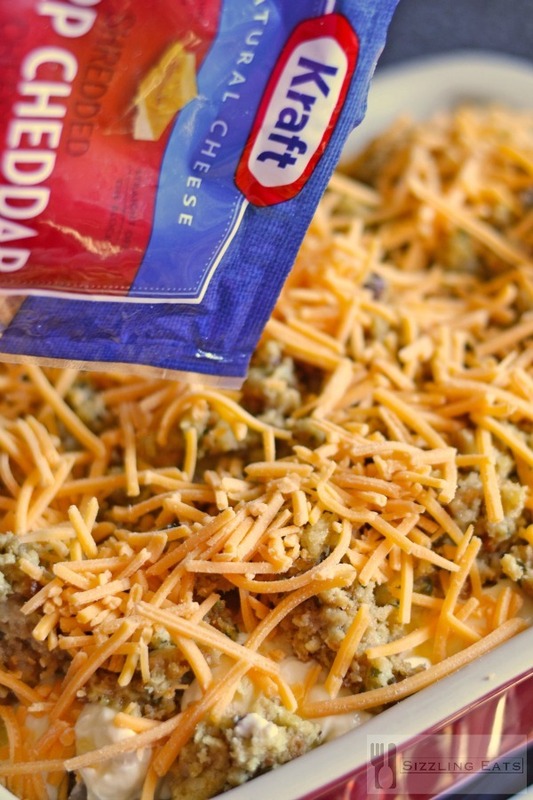 Sure, you could add ground turkey, or even chicken to this, but why not mix things up…now that is the true beauty of making a casserole friends! 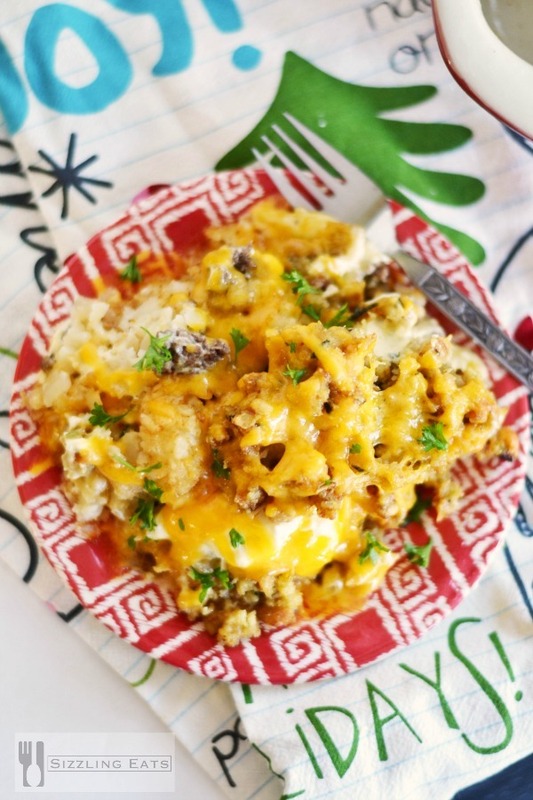 Want to make my Cheesy Tater Tot Casserole with a Twist? In a small frying pan, pan-fry your hamburger meat and onion together with some salt & pepper; drain any excess fat. 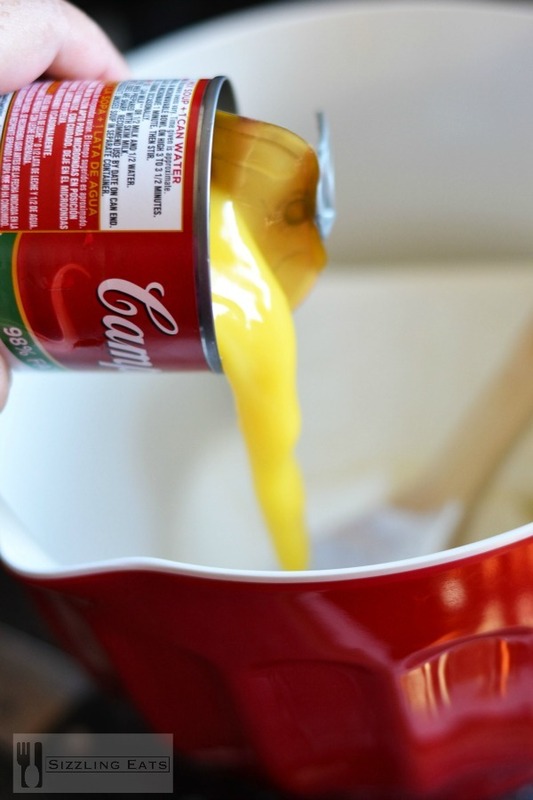 In a large bowl combine the soup, cream cheese, and sour cream-mix thoroughly. Line a large casserole pan with all your tater tots, top with meat and onion mixture. Top with stuffing, and shredded cheese and bake for 45 mins at 350 since the tater tots are pre-cooked. 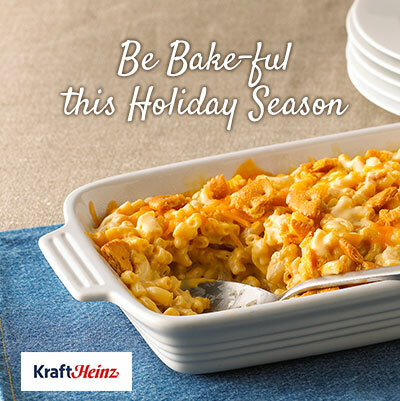 Since the holidays are all about yummy casseroles, and desserts you all must head over to the KraftHeinz Make Everyday Delicious holiday recipe hub featured on Walmart.com. Man do they have some awesome desserts and meals that you can recreate and even vote for your favorite!! I am in LOVE with the Mini Cheesecakes, and Butterscotch Pecan Mini Tarts–YUM! Next time you are at Walmart, be sure to pick up some Kraft favorites. I always have some Philadelphia Cream Cheese, and Kraft Shreds in my fridge for meals because they are true staples in my home. Doesn’t this Mac & Cheese look good too? OMG YES. I would just gran a fork and eat that entire thing straight out of the pan! I love this! This is going on the table this weekend. That’s absolutely fantastic. This casserole looks really yummy. The kids will love this dish. I can’t wait to have them try it. Stuffing in tater tot casserole? GENUIS!!! I am totally taking this and trying it. 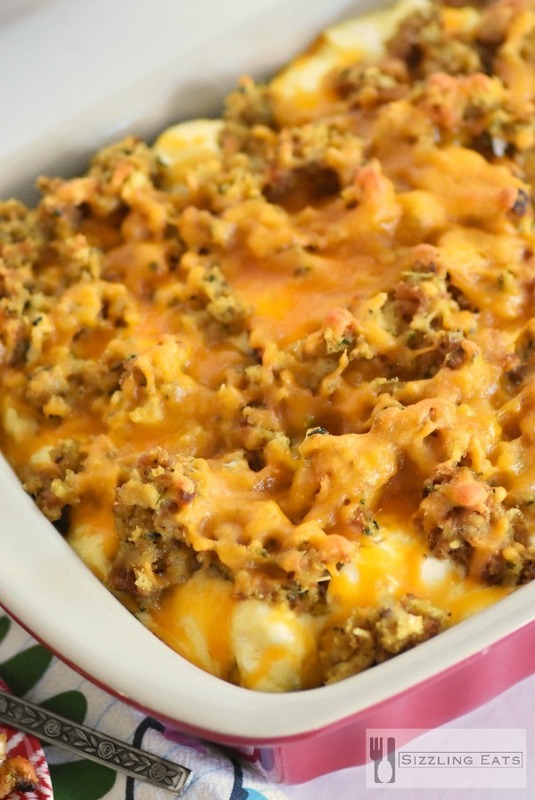 Oh my goodness, this looks like such an awesome casserole dinner! I love all the creamy cheesy goodness with the fun of tater tots! This looks so good. 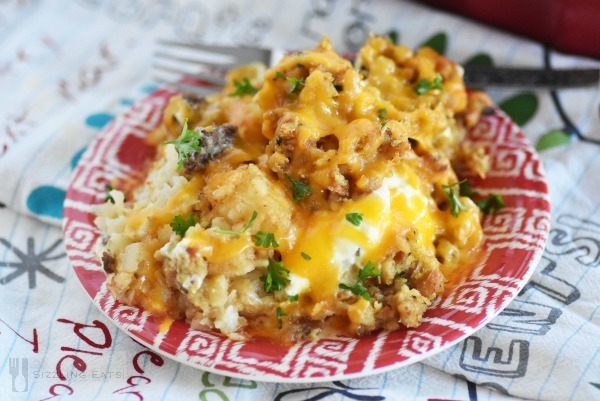 I havent had tater tot casserole in SO long, my kids would love this! Now this sounds like an awesome fall meal. 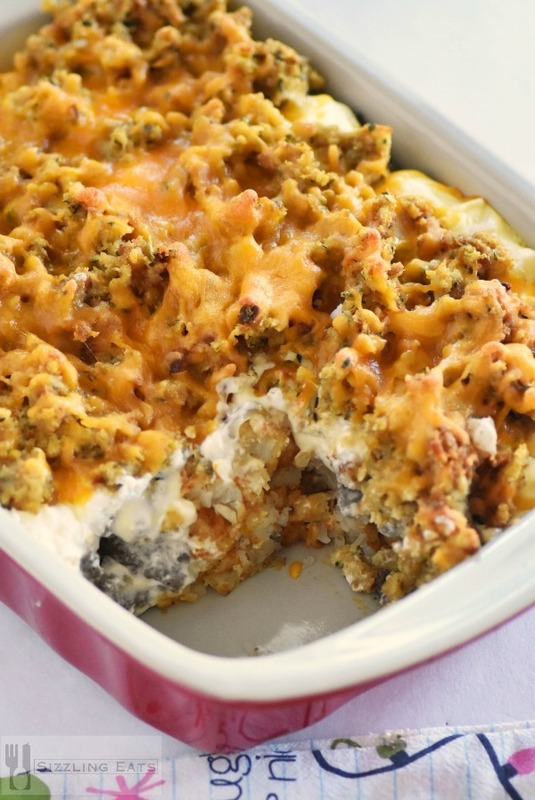 Your ingredients make this so much more flavorful than run-of-the-mill tater tot casseroles! I love anything cheese, so this recipe won’t be any different. This is something I’ve never tried before, so I’ll have to make it one night and see what the family thinks. I’m sure I’ll be a fan. My family is going to love this recipe. I am always looking for new casserole recipes to try. I love Tater Tots. This looks like a great recipe to try. I will have to make it for dinner this week. That looks so good! I think my family would really love this! My daughter cannot get enough of cheese it seems. I make something kind of like this. My kids really like it. Why have I never thought of this?! Genius!! This looks delish! This looks soooo good! My family will gobble this up fast. What a creative way to combine those ingredients into one dish. Your food photography is beautiful throughout this post, too. My family loves tater tot casserole! I love your secret ingredient! I would love to try this myself. This looks like an awesome winter dish!